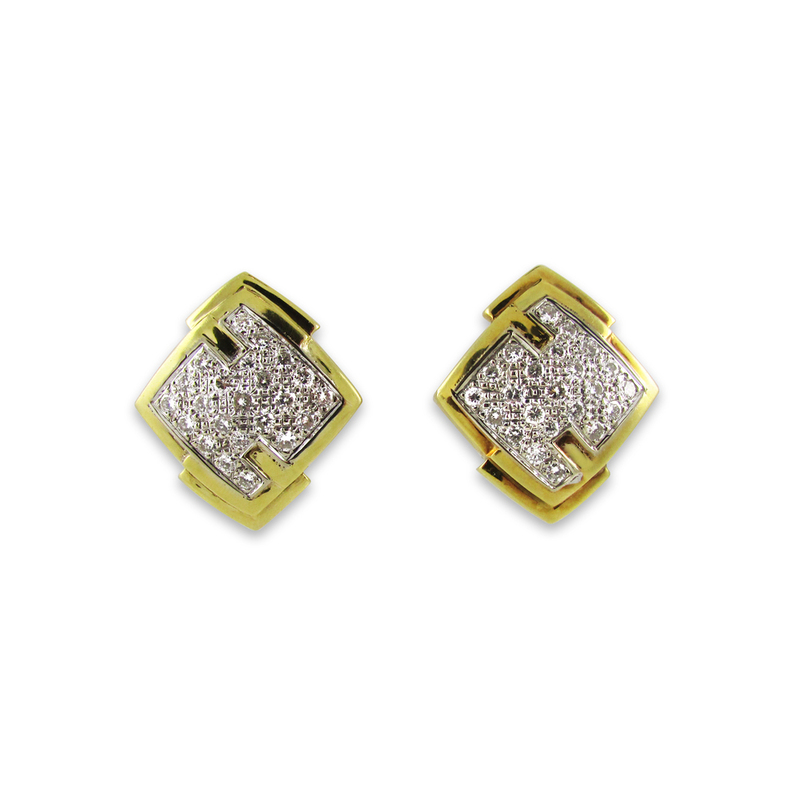 18KT white and yellow gold earrings each with a center that is pave-set with round brilliant cut diamonds. 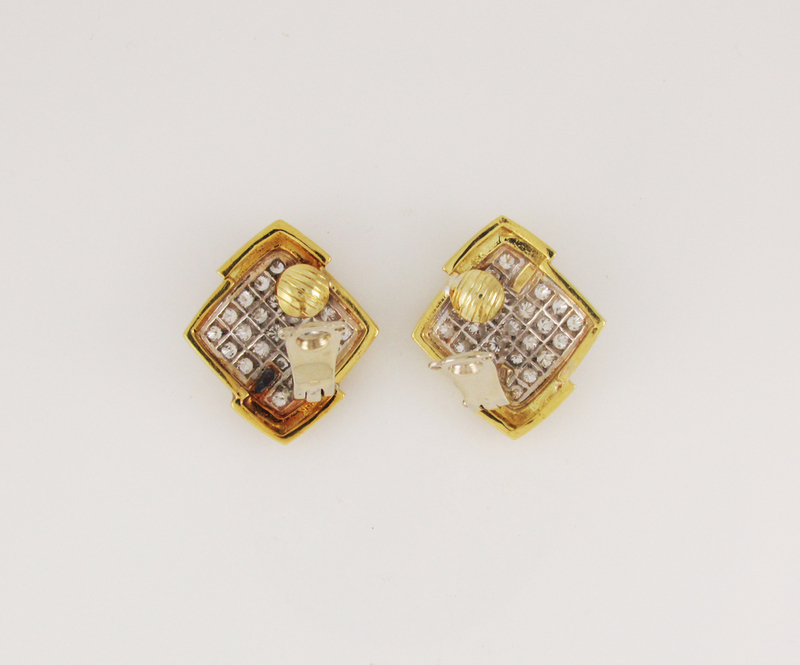 The total diamond weight is estimated to be 2.30 carats. 1" square. Clip backs.